Check out our list of 15 video courses and become a Blockchain expert. For business learners and programmers! Blockchain is one of the most exciting new technologies. Only Artificial Intelligence has a similar potential to disrupt existing industries. Some experts even think that Blockchain may revolutionize the entire Internet. What is it about? And how can you learn more about Blockchain yourself? The Blockchain technology is mainly known because the digital currency "Bitcoin" is based on it. But what exactly does Blockchain mean? Blockchain technology allows for a decentralized accounting ledger. That may not sound exciting, but it enables some interesting applications. As a key application, a central authority can be replaced by a decentralized Blockchain system. The Blockchain system has the same level of reliability and lower costs. Instead of a bank controlling monetary transactions, for example, the decentralized Bitcoin no longer needs a higher authority and nevertheless works tamper-proof. Other possible applications include real estate land registers and other central registers for assets or documents. While the cryptocurrency Bitcoin (Payment Tokens) has already gained widespread recognition, most other Blockchain use cases (such as Utility Tokens and Asset Tokens) are still at the very beginning of their realization. Reason enough to learn more about this exciting new technology! And this animation gives you a simple visualization regarding the key technical details of Blockchain (e.g. hash values). But YouTube videos can only be a starting point. Various online courses enable a more comprehensive learning experience. The well-known online course Blockchain and Bitcoin Fundamentals gives learners a broad fundamental knowledge. The Udemy course already had over 30,000 participants. Previous knowledge of the topic is not required. The Full Cryptocurrency Course from a young lecturer is also intended for beginners. In the first part of the course, the basic technology is explained step by step. Participants will learn the basics of public and private keys, Bitcoin mining and other important concepts. What follows is a practical guide to the purchase and trade with digital tokens. Any programmer or developer who wants to learn about Blockchain can do so with an introductory course from IBM at Coursera. The course is free to learn in the audit track. UC Berkeley's Blockchain Group offers free access to their introductory Blockchain lectures as an online course series on the edX platform. Another course at edX is focused on the open source Blockchain platform Hyperledger. Hyperledger aims to simplify the use of Blockchain technologies in companies and corporations. A Udemy course for developers shows how Smart Contracts can be programmed with Ethereum and the Solidity programming language. Another course explores the development of Ethereum DAPPs (Decentralized Apps). The specialized provider "Blockchain Training Alliance" also offers introductory courses for business professionals (this one for example). Some of their in-person courses are offered as a live online webinar (via WebEx). The Cryptocurrency Investment Course at Udemy provides detailed guidance on investing in various cryptocurrencies. It also explains Wallets as a purse for Bitcoin and the purchase and trade of cryptocurrencies. Disruptive use cases are also expected in the Energy sector. An online course at FutureLearn discusses this in great detail. In the field of law, Blockchain also plays a role. Smart contracts and other LegalTech applications may have a large impact in the future. A video course from IE Business School discusses some basic implications (week 2 of the course). An Online University for Blockchain? The University of Nicosia (Cyprus) offers a complete Master of Science in Digital Currency. The Master's program can be completed online within 18 months. Depending on your own prior knowledge and interests, the cryptocurrency degree program can be structured as either computer science-oriented or business-oriented. Interesting for learners: The first course of this program is offered as a free introductory MOOC (massive open online course). 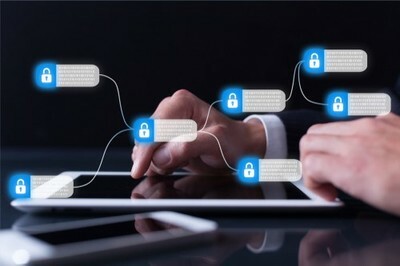 Oxford University has also created a course series on Blockchain. Although this is not an academic program, it is designed to provide a concentrated Blockchain training within 6 weeks. After successful completion, a corresponding certificate of participation is available. Udacity offers a complete Nanodegree course series for students who want to become Blockchain Developers (some prior coding experience is required). There is also a Blockchain course series (Specialization) from the State University of New York via Coursera. In addition to the online courses mentioned above, there are of course numerous sources for learners who want to dive further into the details. And of course interested learners should read the original whitepaper by Bitcoin inventor Satoshi Nakamoto from 2008, which was the starting point for the development of this new technology. The industry group Crypto Currency Certification Consortium offers certifications in the field of crypto currencies (here). However, the learning path to get the certification needs to be organized by learners individually. Thousands of online courses from various providers in 22 subject areas are included in our directory (online lectures, MOOCs, and other video courses). You will also find courses on other technology trends such as Artificial Intelligence or Virtual Reality. With the free Course Manager, you can organize your online learning and define your individual learning schedule. Are you interested in online learning? You can subscribe to our newsletter here. And follow us on Facebook and Twitter!